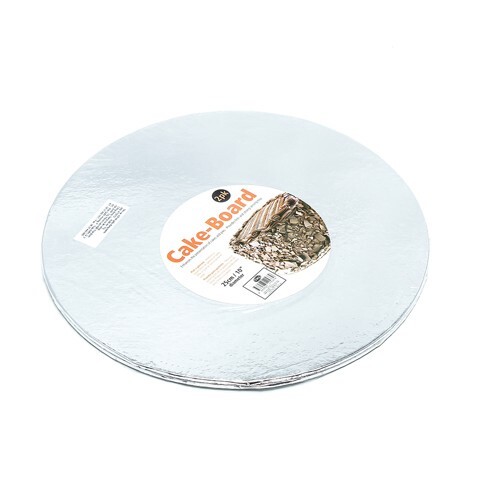 Cake Board 25Cm Silver 2Pk. 25 x 0.35cm. Silver Embossed Paper | White Backing Paper. Cardboard | Silver Foil Paper | White Backing Paper. 109G Packaging: Shrink Wrap with Colour Label.